Setting up a new garden or restructuring an existing garden can be a very rewarding exercise. 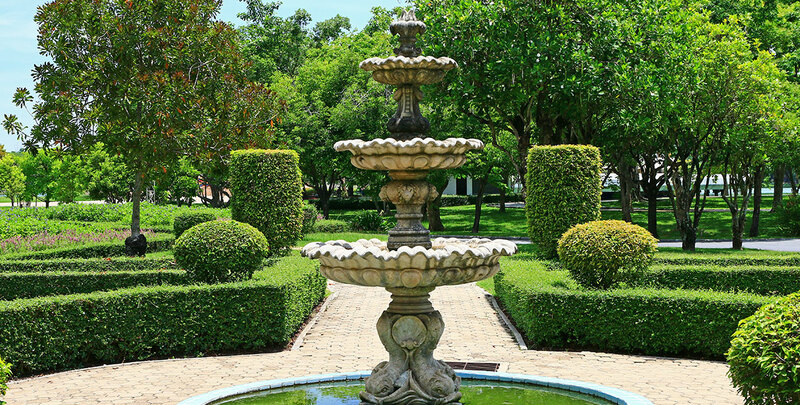 There are numerous ways to create a garden and a vast array of options can be taken into consideration, ranging from selecting plants and flowers to garden furniture. Garden planning usually also includes setting up some type of screening, such as latticework or fencing. These solutions can be very effective and will provide year-round screening. While that is what most garden owners are after, there are more elegant and better-looking ways of creating a border around your garden that will keep out intruders and curious glances from passers-by. A fence is a quick, easy and often very cost-efficient screening solution, but in an ornamental sense, a fence has very little to offer. This is where the hedge comes in. Garden hedges have been a common sight in gardens all over the world since time immemorial. Hedges are an all-round solution, as they can be used for a wide variety of purposes. One of those purposes is screening, of course, but most types of hedging plants offer a package deal. This means that your hedge will not only offer you privacy, but it will also provide wildlife interest, attractive flowers, striking branches or leaves, fragrance or a combination of these factors. Even classic, neatly trimmed evergreen screening hedges are more multi-faceted screening solutions than a rather dull, monotonous fence. 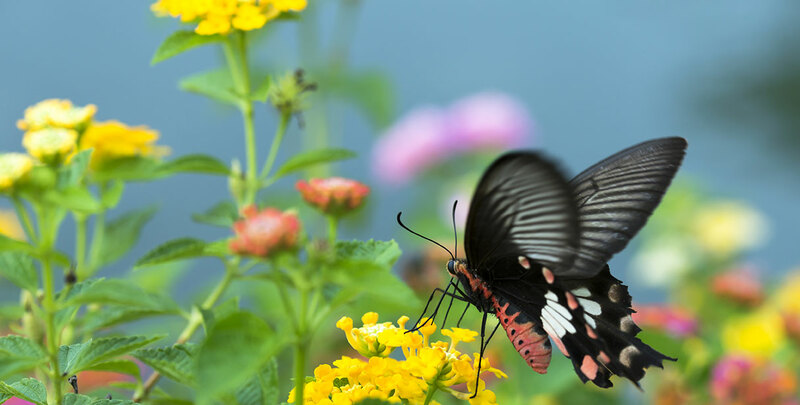 They often are a little more demanding in terms of maintenance, but your effort will certainly be rewarded with an attractive border around your garden. 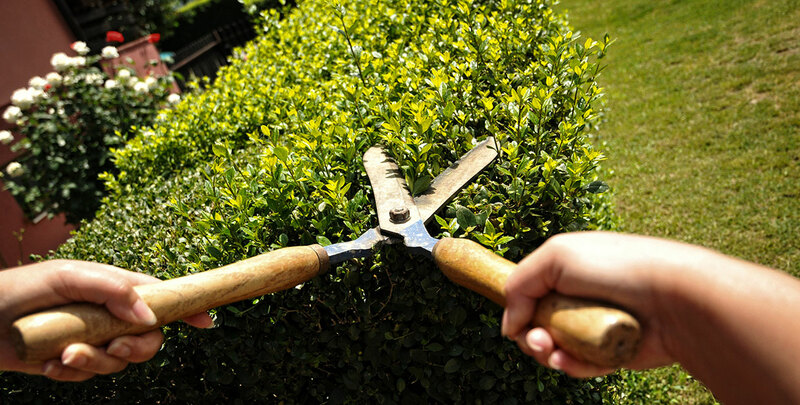 Garden hedges can be divided into two main categories: deciduous hedges and evergreen hedges. 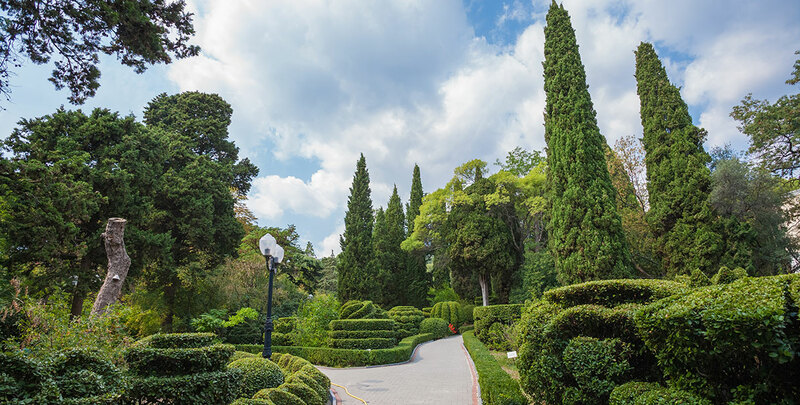 Those who have a preference for neat, tidy hedges and year-round screening tend to choose evergreens. This is a wise and understandable choice. Evergreen hedge plants, such as conifers and cherry laurel, are compact-growing and therefore provide excellent screening. More importantly, these plants are named “evergreen” for a reason. While deciduous hedge plants shed their leaves when temperatures drop, evergreen hedging species will hold on to their leaves throughout the winter months and will therefore ensure your privacy even during the coldest months. In addition, the majority of evergreen hedging plants is average to fast growing. As a result, you can grow your own dense, compact screening hedge within just a few years. In case you cannot wait until your hedge reaches its desired height and density, instant screening can be obtained by buying large plants, or even an instant hedge. That does not mean, however, that hedge plants that will shed their leaves are not suitable for hedging purposes. In fact, many deciduous species are highly sought-after for hedging. Deciduous hedging plants include beech, hornbeam and the semi-evergreen privet, which generally even holds on to its leaves during the average British winter. These species possess many of the useful features that evergreen plants have and are therefore commonly used in hedges. If you are looking for a more colourful hedge, you could also think of flowering, wildlife-friendly hedge plants such as the hawthorn, the butterfly bush or the common lilac. These species are typically rich in useful flowers and/or berries, both of which not only make a good food source for insects and birds; they also make a lovely display and add spring, summer and/or autumn interest to your garden. Hedges have been around for many centuries. In fact, before it was common to have a garden, farmers already planted borders of plants around their land in order to protect the crops that were grown there from being stolen or eaten by human or animal intruders. In those days – around 5,000 years ago – privacy and appearance were not yet considered important factors for hedging, but as people got wealthier and had a chance to maintain a garden, the demand for beautiful hedges that would ensure year-round privacy increased. That does not mean that hedges are no longer used in farming, however. Hawthorn and privet, for instance, are true British countryside classics that are still very commonly used in rural areas. Just like a fence needs a new coat of paint every now and then, hedging does not just mean planting the desired plants in your garden and just letting them grow. There are certainly species that can be left unpruned to form an informal hedge that emphasises the natural growth habit of the chosen plant variety, but almost all hedging species require a certain degree of maintenance in order to keep their shape. Generally, evergreen hedges require more frequent trimming than deciduous hedges, but even the latter demand some upkeep. In addition, different hedging plants have different annual growth rates. Naturally, fast-growing species should be pruned more often than slower-growing varieties. Some fast growers can even overgrow other plants – in other words: become invasive – when not cut back regularly. All hedging plants have their merits. Some are more demanding than others in terms of soil and maintenance requirements and with so many species available, we can understand that you may need a little help selecting the right hedging plant for your garden. Hedgesonline.co.uk strives to offer all the information that beginning garden enthusiasts and experienced gardeners need in order to find the hedging plant that will thrive in the conditions your garden has to offer. Of course, personal preference is also a factor. You could simply be looking for a screening hedge that will ensure your privacy, but it is also possible that you want to decorate your garden with a colourful, flowering hedge that will attract wildlife. You could also consider mixing various hedge plants to get the best all of them have to offer. You will find everything you need to know about planting and maintaining the hedge that you are after on our website.